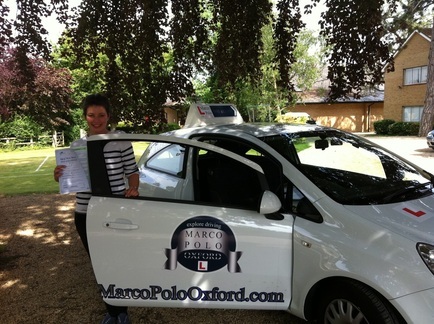 At Marco Polo Oxford Driving School we aim to teach to the highest standards possible. We want you to pass your test in the fastest time and lowest expense to you. Everyone knows that learning how to drive can be an exhausting and expensive experience, that's way at Marco Polo Oxford we specialise in Intensive Courses . Our driving instructors have already helped hundreds of new pupils to pass their driving test . Years of experience have helped us to determine the best way to teach our pupils everything they need to learn to pass their driving test first time - in the shortest amount of time possible. We offer Intensive Driving Courses that allow you to maximize your learning and minimize the cost of learning to drive. Many of our pupils pass first time and in just 1 week! Why not join them? You can get started today by booking your Assessment Lesson Now. For pupils that are unable to commit to an intensive driving course we also offer weekly driving lessons that can be booked in blocks of 2 or 3 hours. We also now offer Pass Plus courses in Oxford for new pupils looking to build upon the skills they've already learned and save money on their car insurance at the same time. It's even possible to claim back 50% of the course fee!